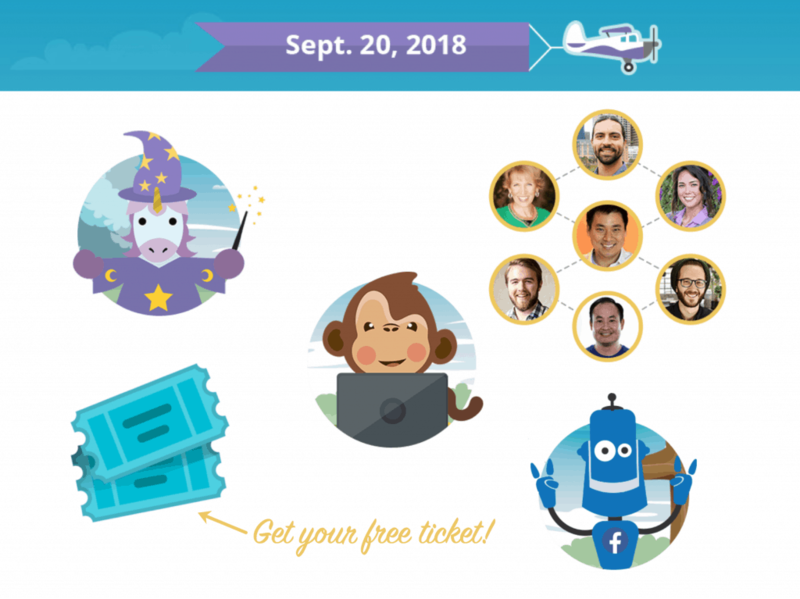 What You Get with Your Free Ticket to the Chatbot Conference, a 1-Day Deep Dive into Facebook Messenger Marketing, the Most Engaging Channel Today! 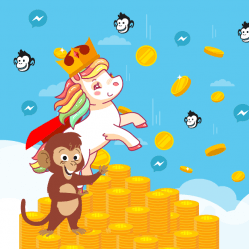 The Facebook Messenger & Chatbot Marketing Summit is in 2 weeks and MobileMonkey is gearing up for the world’s largest event of its kind. Over half of the tickets have been claimed, and we want you to get in on the action before they run out. Leveraging the platforms with the most impact, reach, engagement and performance for your dollars and efforts is key. The wide-open window of marketing opportunity today is Facebook Messenger, and this conference is going to get you going from zero to 60. Spend a few hours with the marketers and advertisers who have mastered the medium to learn how to craft your message and offer for your audience on Messenger. How to ensure your branding is authentic with the use of automation tools. What strategies and tactics to implement that are proven effective. Companies and case studies that showcase your own path forward for chat blasting, list building and advertising best practices in Facebook’s newest and growing platform, Messenger. Here’s the full run-down of our scheduled speakers and sessions. But take note — we’re inviting more! Check out our call for speakers at the end of this post. The Queen of Facebook, Mari Smith, has demonstrated how marketers can develop the quality of online customer relationships to see business-boosting dividends. A champion and educator of the art of social media engagement, Mari provides the ultimate guide to personalized and intimate communication when employing chatbot automations. If you’re ready to get people to notice you, fall in love with your brand through your chat marketing content, and increase your profit at the end of the day, Mari’s essential template for influencer marketing with chatbots is your next step. Class is in session! Welcome to chatbot building 101 — your primer to getting started with lead generating, list building, chat blasting, advertising, and lead nurturing automations with Facebook Messenger marketing. 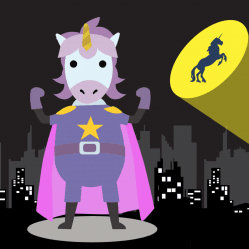 Dr. Bot Larry Kim guides you through the basics to see 70%+ open rate and 20% CTR immediately! You may have never heard of Virginia, but chances are good you’ve been visited by bot girl. The world-record holding chat blaster by sheer volume, no one has been responsible for as many chat blasts as her. Use Virginia’s 9 battle-tested secrets for chat blasting for maximum engagement. And don’t take her word for it as she shares data analysis of 10,000 chat blasts across Facebook Messenger to learn what are good open rates and response rates, what content gets opened and what gets the dreaded unsubscribe. Chatbots are the biggest tech to revolutionize marketing and advertising since email or search. Learn from the professor, Isaac Rudansky, creator of Udemy’s top digital advertising course. Isaac is bringing his ad man chops to chatbots in this session dedicated to outlining the 15 high-impact lead gen tactics that will drive crazy ROI out the gate! 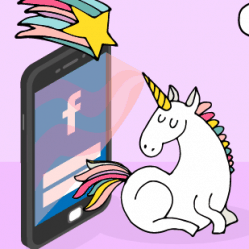 Facebook marketing expert Dennis Yu shares real-world case studies from brands leveraging Messenger marketing tactics for commerce and lead gen. See 10 examples of how companies are using chatbots, chat blasting, and advanced chat marketing tactics for fun and profit! 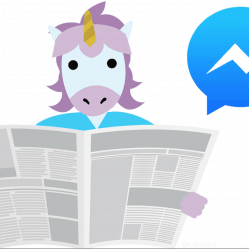 Forward thinking businesses are crushing it on Messenger. Get ready to take a dive into real-world strategies that Samir and the team at Fetch & Funnel are using to generate superior results and drive Facebook ROAS to new heights. Convert more customers and dominate your competition by combining Facebook advertising and Messenger chatbots. Dan Golder has helped thousands of companies generate millions of Facebook Messenger contacts. In this session he’ll reveal the top 10 very best real-world, unusual strategies and tactics used by his most successful chatbot clients. Use his secret contact generating playbook to grow your account’s contact list like crazy, right away! There are already 3000 marketers registered for the chatbot conference on Sept. 20 and I couldn’t be more excited! But I’m afraid there might be something missing. It might be you. That’s why we’re doing an open call for speakers. Apply to speak at the summit by submitting your pitch here. Come to learn from the experts and, if you’ve got stories of your chatbots driving major ROI, you absolutely must share with us. Thanks and hope you join me and MobileMonkey as we revolutionize digital marketing on Sept. 20. Get your free ticket to the summit here!